‘Tis the season. Political lawn signs are sprouting, trees are dressed in their seasonal gold, and my neighbor’s chimney is sending out smoke signals. In the world of high school sports things are coming to a crescendo, as the fall teams wrap up their regular seasons and move into their conference, regional and state finals. Farmers’ markets are winding down, Halloween decorations are going up. Who knew it was time to hatch a little hate speech? But like locusts, which stay underground for years before emerging, angry words have been flying this season in Lewiston, Maine. You have to wonder if an uncanny ability to stir public outrage is a precondition for the job of mayor there. Because like his predecessor of a dozen years earlier (Laurier T. Raymond, Jr.) now-mayor Robert Macdonald has single-handedly reignited the fires of resentment and racism in this community thanks to his … dare we say … “inelegant” comments about its minority Somali population. Needless to say, white do-gooders have been a bit “frosted” after reading that. So petitions were signed calling for the mayor’s resignation (hasn’t happened); a small protest was held; folks both black and white and Muslim and Christian asked the mayor to apologize during a hearing at City Hall (he didn’t); and both the national news and the usual racist bloggers have picked up the story. Meanwhile across town, at Lewiston High School, the boys varsity soccer team led by a front line that includes players called Mohamed Ali and Abdibaari Hersi and Yusuf Yama have been racking up a near-perfect season against their competition in the Kennebec Valley Athletic Conference. At their games, blond mamas in L.L. Bean jackets cheer on the same side of the field as black mamas in body-masking hijab: “Go Blue Devils!” Theirs is a team that has, over the past decade, steadily improved its record, and fielded rosters that include names like McDonough and Jacques and Abdirahman: a melting pot of players that reflects the Irish-Franco-now-Somali immigrant waves to wash up on Lewiston’s shores. These boys are too busy practicing together and attending pre-game pasta parties together and worrying about homework and girls and college applications and after-school jobs to get knocked off course by the rhetoric that keeps twisting so many of the adults in this community into knots. 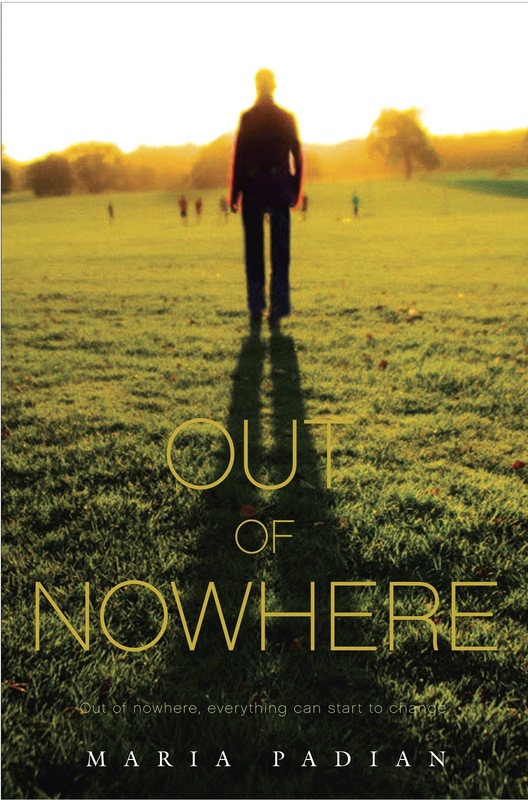 When I wandered into Lewiston several years ago to begin research on my young adult novel, Out of Nowhere, I was struck by this disconnect between the hair-trigger anger reflected in the grownup world, and the live-and-let-live, “Whatever, dude,” attitude of the kids. True: teenagers are no strangers to hate speech and resentment, and “Go back to Africa!” has been scrawled on the girl’s room wall. But for the most part, this generation has done a good job of reacting to each other with curiosity and getting on with the business of life. “They eat goat, I eat bacon,” one boy said to me, shrugging. He was looking forward to being invited to a post-Ramadan celebration known as Eid, hosted by one of his team members. The food, he assured me, would be great. Sambusas in particular. Maybe it’s because they eat in the same school cafeteria every day, while in the adult world we have to arrange formal cultural events to break bread with strangers. Maybe it’s because as adults we are segregated not only by neighborhood, but by our educational backgrounds and jobs and our routines and our places of worship, while kids in school walk the same hallways and change in the same locker room and wear the same team jerseys. They actually get to know each other. And that’s when the angry rhetoric begins to sound stupid and beside the point. Ten years ago, Larry Raymond’s letter to the editor, urging the Somalis to stave off further immigration, brought national media attention crashing down on this community and prompted the biggest police action in the state’s history when the Many and One Coalition held a massive rally the same day as the World Church of the Creator. I remember that bitterly cold afternoon in January: all those cops on hand “just in case,” but there was no violence. It was a good day for Maine. Today, despite Mayor Macdonald’s seemingly repeated efforts to out-do his predecessor, the controversy seems to have fizzled and the competing headline is the trajectory of this public high school soccer team. 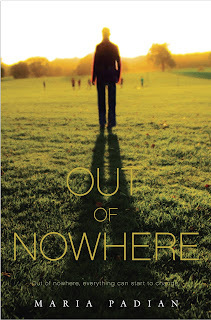 Out of Nowhere, a young adult novel set in Maine about the friendship that develops between a Somali boy and a white boy who play on the same high school soccer team, will be published by Knopf Books for Young Readers, an imprint of Random House, in February 2013.